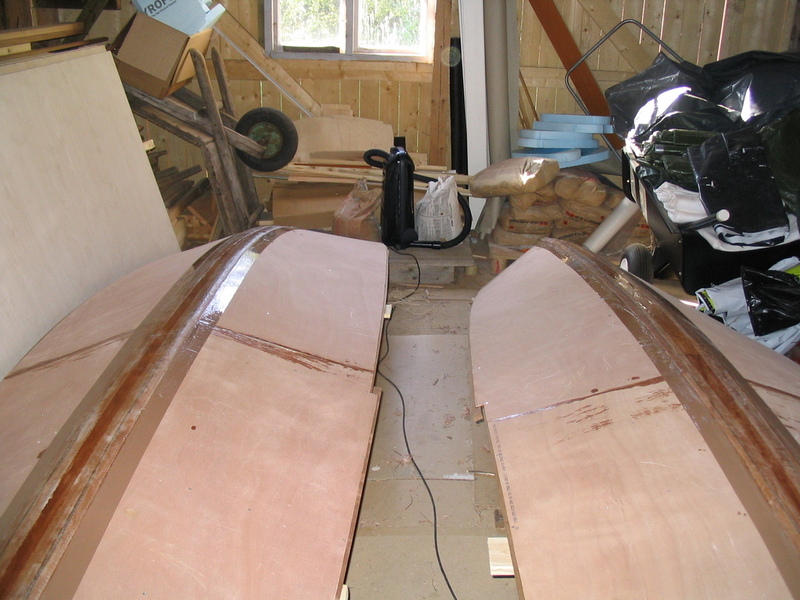 On the week I was supposed to glass the inside of the keel but during the glassing I accidentally dropped the hull from the bow frame and spot glueing gave in. I had just placed first glass tapes, so I just removed it and went home for a beer. 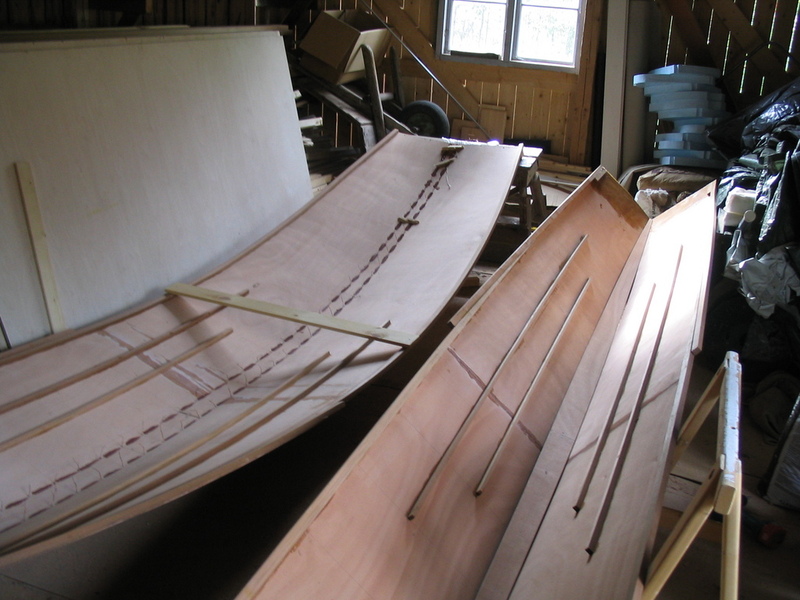 I think that if I have had board screwed to the bow keeping it straight then this wouldn’t have happened. 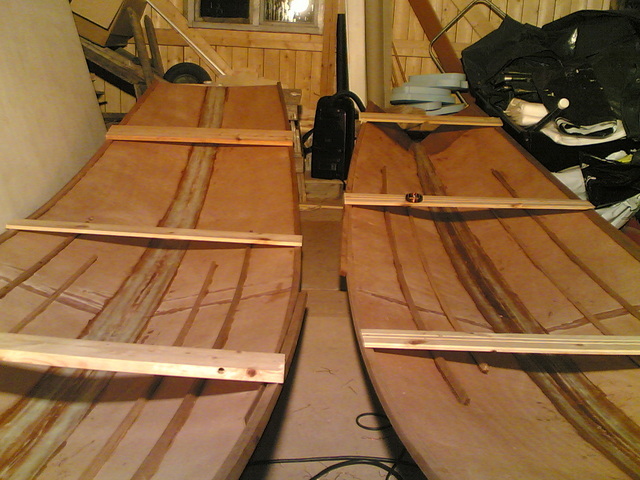 Well, it took me a couple days to gather myself and then I was back first sanding and then wiring the first hull back together. 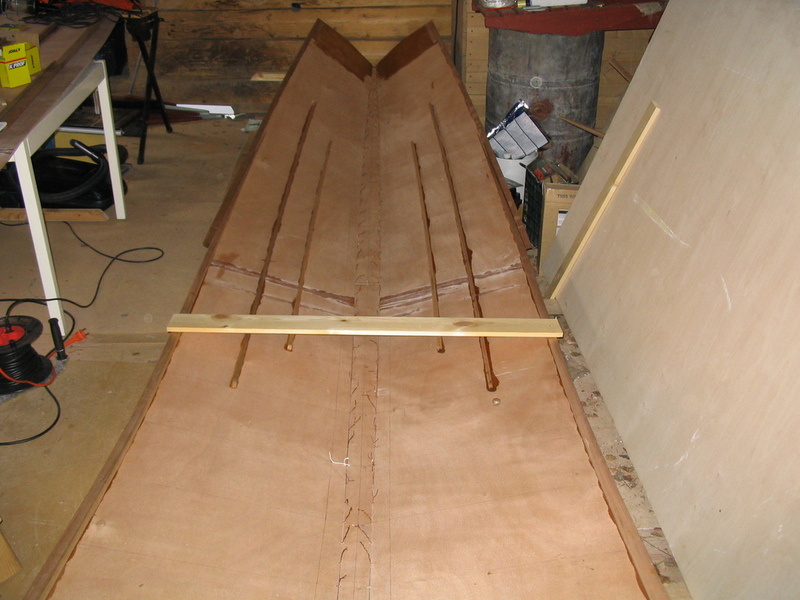 When the panels have been properly wired and the hull bent in proper form the panels need to be spot glued together with epox. 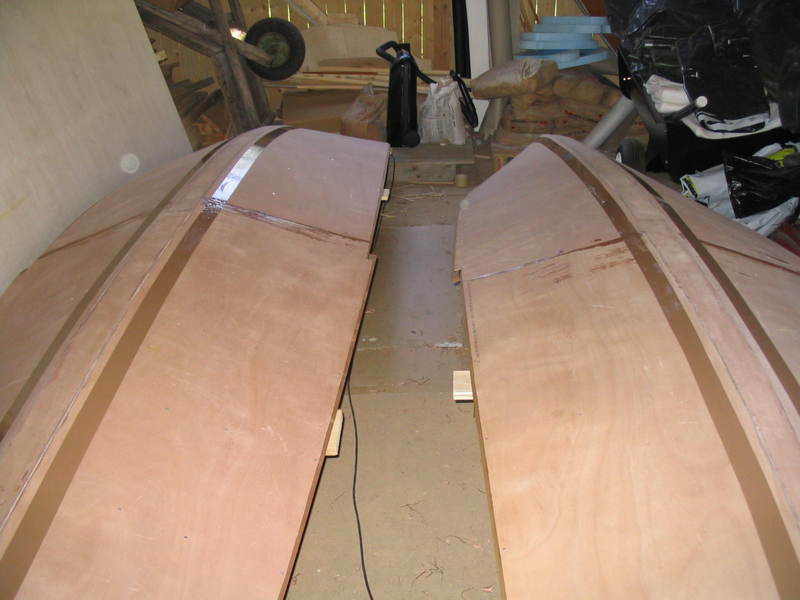 At the end of August I started to prepare for joining the side and keel panels. 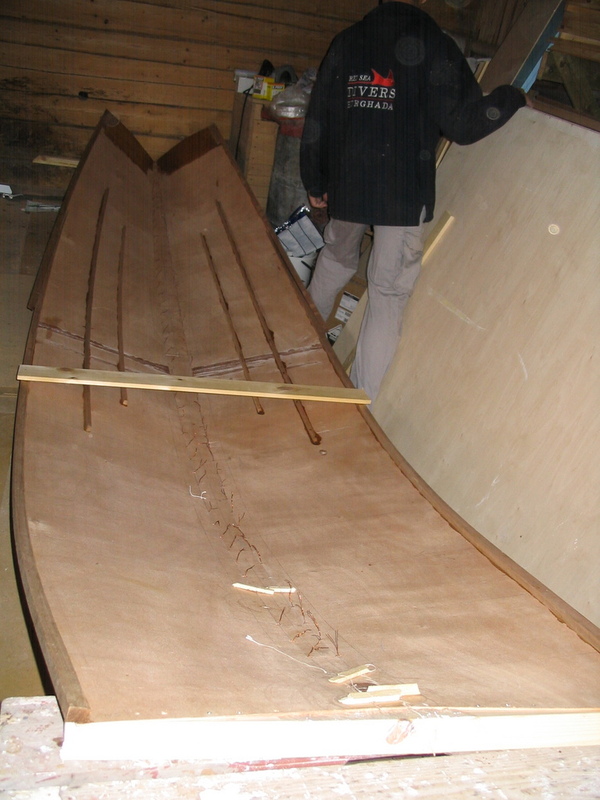 This was done by wiring the panels together with copper wire and whipping twine. 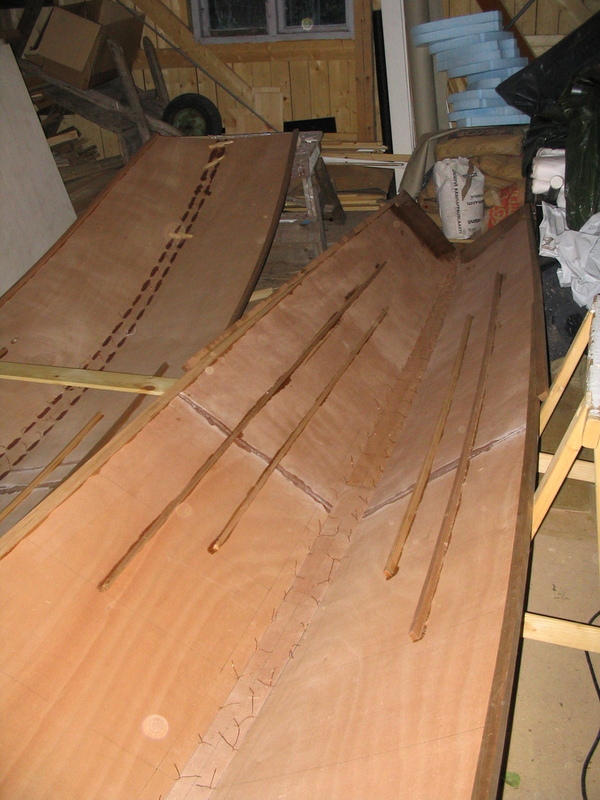 The work started with drilling holes for the wires and rounding the panel edges so that they could be joint together. 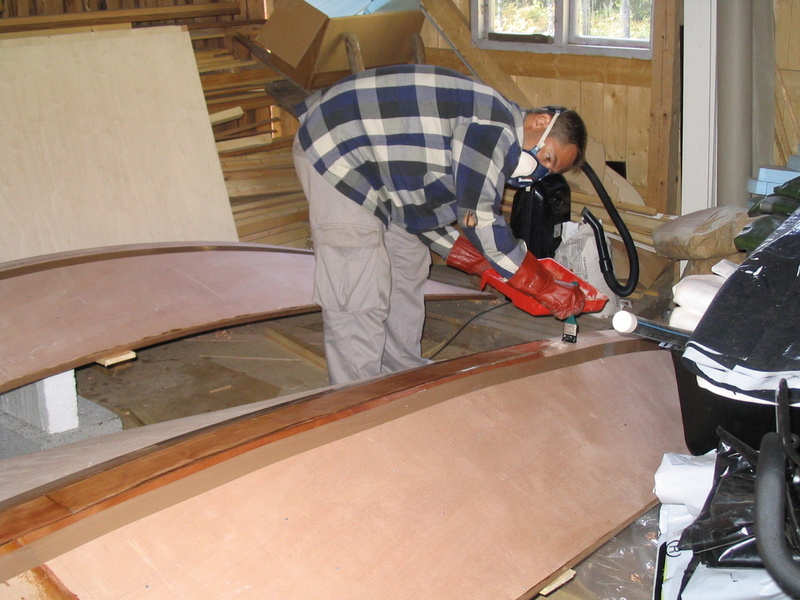 You are currently browsing the Projects weblog archives for September, 2006.